This book provides a timely overview of toxicogenomics, with special emphasis on the practical applications of this technology to the risk assessment process. Introductory sections are followed by a series of chapters highlighting practical and systematic applications of toxicogenomics in informing the risk assessment process including the areas of mutagenicity, carcinogenicity, endocrine toxicity, organ-specific toxicity, population monitoring, and ecotoxicology. 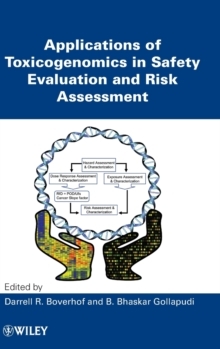 The book concludes with approaches for the integration of this technology in safety evaluation studies, and an outlook on how toxicogenomics and complementary technologies can reframe the current risk assessment paradigm.